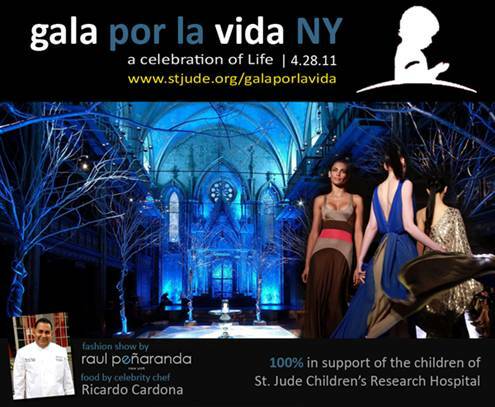 Help us save a child’s life! for a kid with cancer at St. Jude. 2 tickets = one day of oxygen! Imagine what happens when it all adds up? and bring hope to a child’s life. SAVE YOUR SEAT. SAVE A LIFE! New York City celebrities, professionals and elite will unite for an unforgettable evening of fashion, music and dancing with a Latin flare to help the kids of St. Jude Children's Research Hospital who are battling cancer and other catastrophic diseases.